So you want to fly on the magnificent beast that is the 747… The good news is, there’s still quite a lot of airlines to choose from, wherever you live in the world. 22 to be exact! Joe Sutter and his team at Boeing has managed to create an icon in the 60’s, at a time where the largest passenger planes were half the size. In 2018, the 747 still performs and turns heads today, after almost 50 years of continuous service and multiple overhauls. 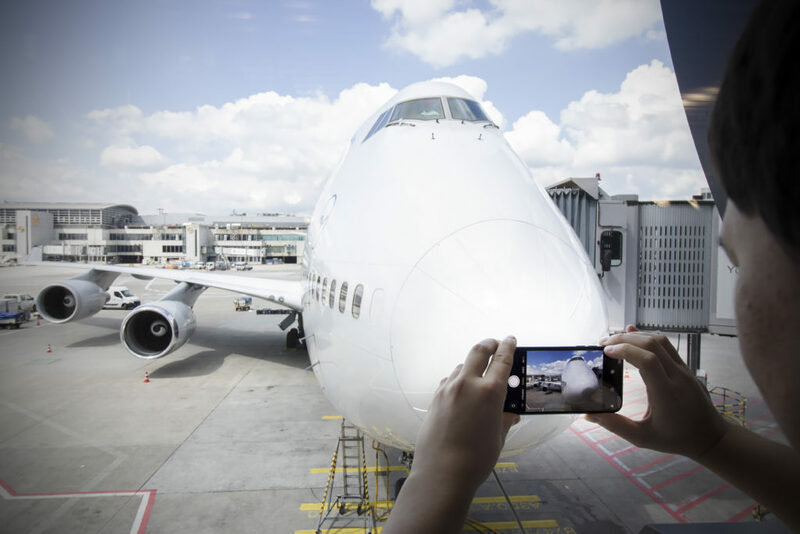 In this guide on how and where to fly on the 747, we’ll look at all the remaining operators around the world and the routes that are still flown. Some of the airlines below will be phasing their 747s out beginning 2019, so if you want to catch the 747 of from favourite airline, you might have to hurry up! As of august 2018, there are 22 airlines operating the 747 for passenger flights. 3 airlines operate the 747-8i : Lufthansa, Korean Air and Air China. All other passenger 747 operators use either the 747-400, except Mahan Air, which uses a the classic 747-300 version. Mahan Air 747-300 1 Last classic 747! Let’s look into all the airlines that use the various versions of the 747. We’ll look at the specificities of each operator, like configuration of the cabin, destinations and any other interesting facts. We won’t go through all of the airlines listed above, but mainly focus on the largest or most interesting operators. 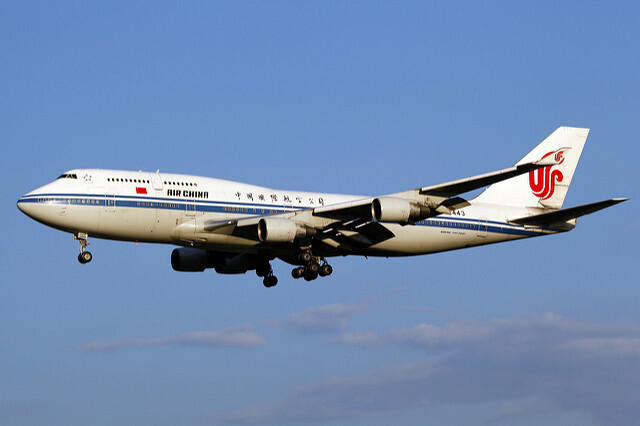 Air China is one of the 3 only operators of the latest 747-8. It’s the -400 version that is currently the hottest, because with only 3 planes in the fleet remaining, it is not only harder to catch than the 747-8, but there is the risk of them being retired. They are one of the few only domestic 747 operators in the world! Air India maintains a small fleet of 4 aircraft. It is uncertain when they are planning to retire them, but given they are a large airline, I wouldn’t be surprised if they keep them for a while longer, even as backup aircraft. With a bit of luck, you can catch one of their two 747s on the 2-4h routes in Asia. It is unclear when they will retire, but maintaining 2 speciment of an aircraft in a fleet is never too economical for airlines. 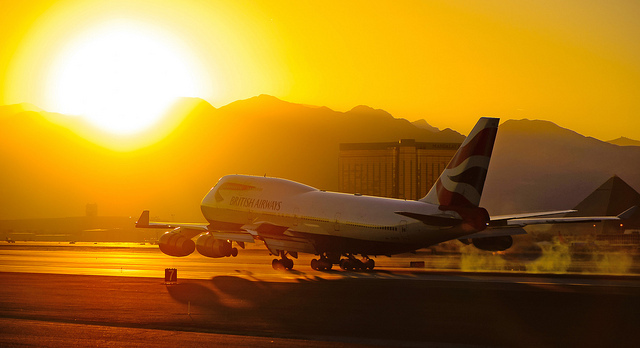 British Airways is one of the oldest, and today is the largest 747 operator in the world with 36 aircraft. The fleet is scheduled to be cut in half by 2021, and the last 747 is to be retired by february 2024. British Airways offers the largest choice of destinations, mainly in North America and sub-saharan and south Africa. One of my favourite liveries! Air China has also been getting rid of their 747, maintaing mainly a fleet of the freighter versions. The Taiwanese airline has only 4 aircraft remaining, it’s best to try them out sooner than later. As the last french 747 operator, Corsair International has 3 aircraft remaining, used mainly to fly to its overseas territories like Guadeloupe and La Réunion, but also to Madagascar and Mauricius. Corsair have equipped their high density 747s in a 3 class configuration with 537 seats. The upper deck is reserved for the 18 premium economy and 12 business class seats. The main deck is all economy. Again, with only 4 aircraft in the fleet, catchin one in 2018 is fairly rare. Being allowed on the flight can be tricky if you’re from one of the countries that don’t have good diplomatic relations with Israel. Flynas is a lesser known Saudi arabian low cost 747 operator which operates two 747s. 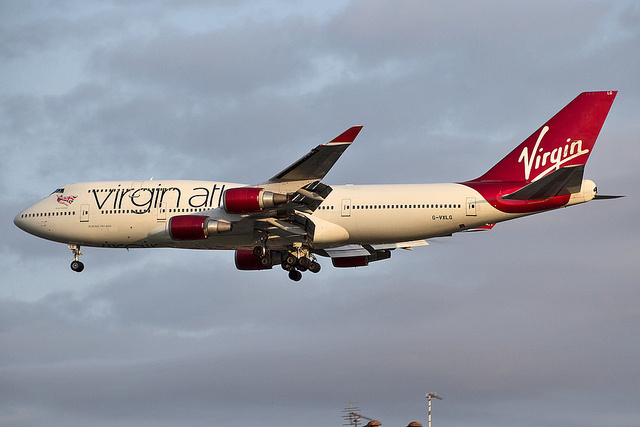 One of their aircraft is an ex-virgin atlantic plane which still has the deep red engines. They are leased from Moldovian company Terra Avia, and who knows how long they will fly, given the uncertainty of such operations. Flying to Saudi Arabia is not easy, given that they only provide visas to business travelers and muslim making the pilgrimage. Here is probably the most exciting 747 operator of them all! I can harly imagine how one would get an opportunity to fly on one of these, given the current situation in Iraq. They currently seem to operate only one aircraft, the second one last logged a flight in july 2018. 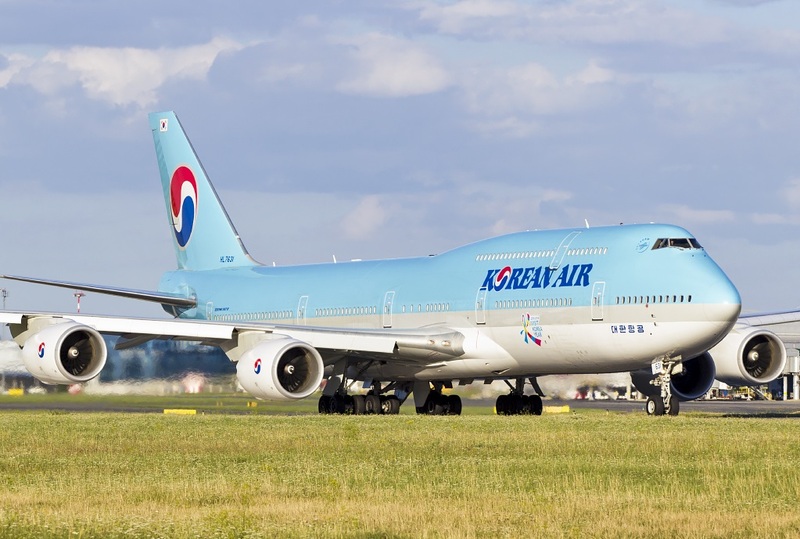 Korean is also one of the 3 airlines that operate both the 747-400 and the 747-8. The -8 versions still have plenty of life ahead of them, but it is unknown how long the 3 -400 versions will stay with the airline. To get an idea of what you can expect, check out this review of a 747-400 flight from Seoul Gimpo to Jeju. This perticular 747-400 has economy class in front of the wing, which is a rare occasion to enjoy a great wing and engine view without breaking the bank! 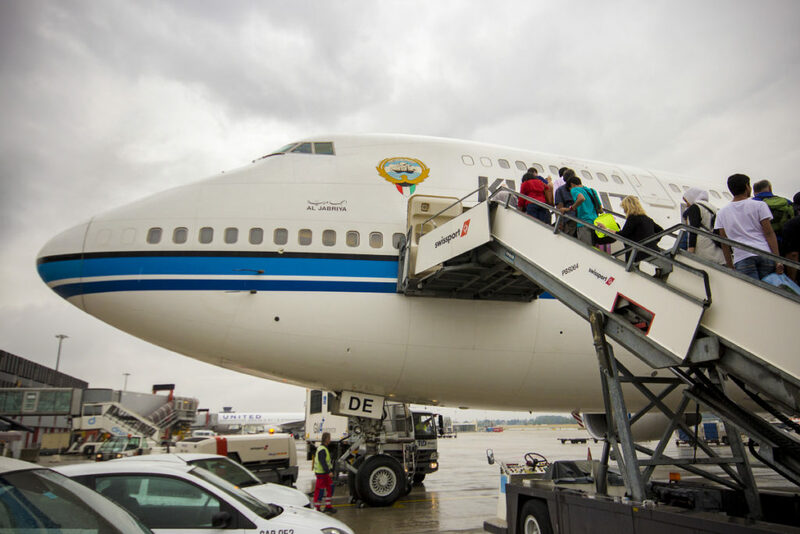 This is possibly one of the most interesting speciment is the only Kuwait Airways 747, which is also used by the Emir of the country for his state visits. The aircraft has a beautiful reatro interior with old business class seats and tiny flight entertainment screens. During the flight, the upper deck is not accessible as it is used by the Emir when the plane is flying private. It used to operate the Kuwait – Frankfurt – Geneva fifth freedom route on rare occasions replacing the usual A340-300, but the route has since been discontinued. Now it only flies in the middle east. Lion air, the low cost carrier from Indonesia, has currently one single 747-400 which it uses on domestic flights. This plane has a long flying history starting in 1989, when it first flew for 15 years for Singaport Airlines, then got leased to Iberia by Air Atlanta Icelandic, went to Oasis Hong Kong before ending up with Lion Air. Lufthansa is the second largest passenger 747 operator in the world. 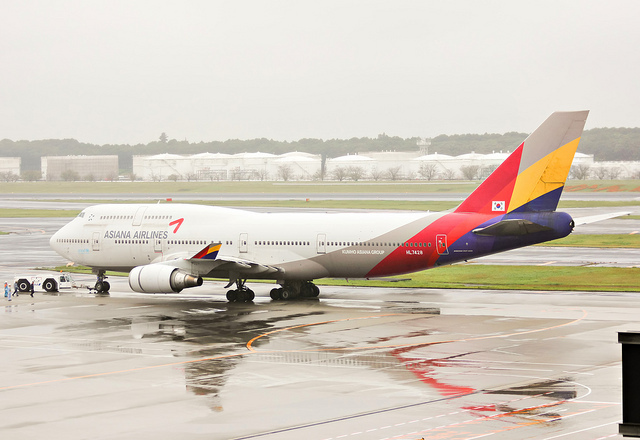 They are also the last of the 3 airlines that have both the 747-400 and 747-8. Basically, there is no need to rush here, there are not clear dates for when they want to phase them out. Which is commendable, as lufthansa tend to use their planes for the most of their intended life span. Mahan Air is without a doubt the highlight of this list. It wins as the only active passenger 747-300 in the world! What’s best is that EP-MND is relatively easy to catch, you just have to go to Iran which is a very enjoyable country. The aircraft does daily flights to Bandar Abbas and Kish Island, and during the off season mostly to Meshed. This is the last chance possibly ever to fly on a classic 747! Max Air is possibly the most mysterious 747 operator of them all. They seem to currently be flying 3 aircraft out of 4 listed as active, and all of them fly daily flights from Nigeria to Saudi Arabia, most certainly for pilgrims. The flights are not listed on their website, so they must be charters. There is therefore a very low chance of being able to get on their 747. 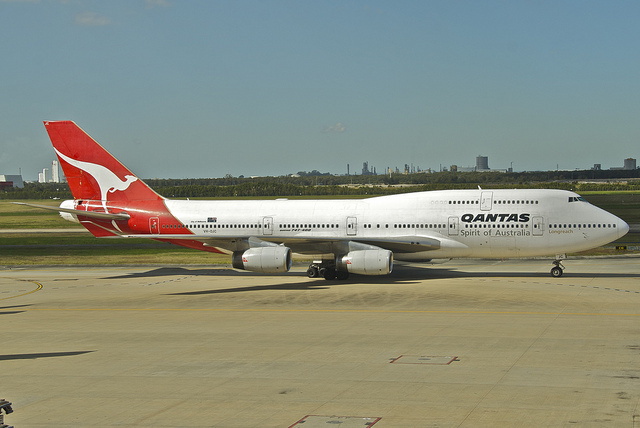 Qantas 747s are soon to be retired, in 2020 to be precise. They have still 10 pieces left, which leaves enough opportunities to try them out. Fortunately, australia takes extra good care of their planes. They even preserve them after they’re done flying, by landing them on small regional airports (see the story about City of Canberra). 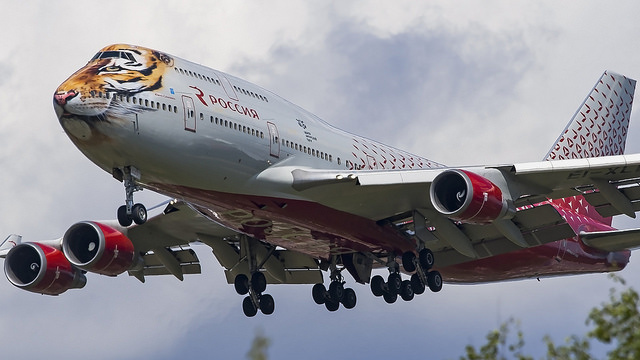 Rossiya ended up with 9 747s on their hands after they incorporated the bankrupt Transaero. It is uncertain of how long they will be keeping them, but for now, they seem to be flying them happily mostly to asian holiday destinations. Rosiya is famous for their Tiger-nosed jumbo which must consistently give local birds instant heart attacks. These 747s are hard to catch. All flights originate in Saudi Arabia, so unless you’re just transiting, have a business visa or go on a religious visit, you won’t be able to fly with them. What’s more, 747 flights are not scheduled, and it seems like they are charters for pilgrims. It would be a rare catch for certain! With 6 aircraft left, it is unclear how long they will remain in service. 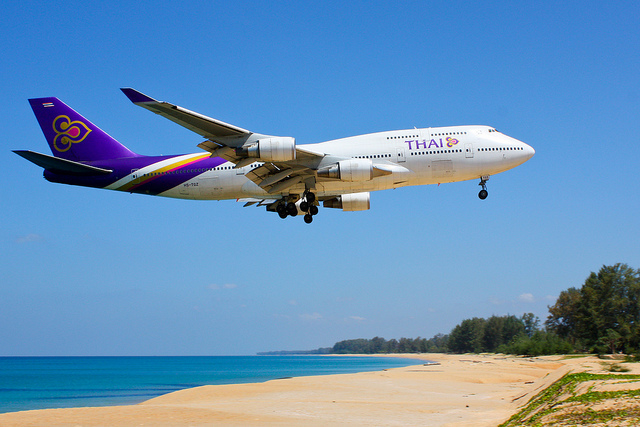 Thai airways is one of the rare domestic 747 operators. You can catch it on the 674 km flight from Bangkok to Phuket if you just want to give it a quick spin! The famouse Airline of bilionnaire businessman Richard Branson, who also plans to take us to space with Virgin Galactic. They only have a few 747s in their fleet, and they are to be retired starting in 2019. Get the classic Red Girls while you can! Wamos operats mainly leisure charter flights using high density jumbos. They also operate ad-hoc charters, between North and South America and the Middle east. The safest way to book a flight is on of their sheduled routes, through the official website. The aircraft was created at times where fuel prices weren’t a major concern for airlines. As a result, having 4 engines on a longhaul plane wasn’t a big issue. Airbus and Boeing, with the help of engine manufacturers, continued developing aircraft with better and better fuel efficiency, which gave rise to the large twin jets like the 777, 767-400, A330, 787 and A350 which used less fuel than their 4 engined counter parts. The mid 1980’s, saw the advent of ETOPS operations, which allowed twin engined widebody jets to fly for extended periods of time without an alternate airport in a 120 minute range. On many routes, this meant that the 747 wasn’t the only option anymore. Lastly, air traffic worldwide has seen a rise in point-to-point routes, which are direct flights between secondary cities. These only rarely require large capacity aircraft like the 747. All these factors contributed to the slow decline the use of 747s (and A380s for that matter) for passenger flights. On the other hand, the cargo versions of the 747 remain highly in demand because of the different economics models. If you enjoy diecast airplane models, check out my detailed guide on the best diecast brands. I go through all the well established brands, with a pricing breakdown, where to buy, what to look for and setup ideas. I hope you enjoyed this 747 flying guide. Do you have any cool 747 stories? What was your first flight like on the 747? If you know of any other 747 operator, or notice any mistakes, please let me know. Now that all has been said… Long live the queen! 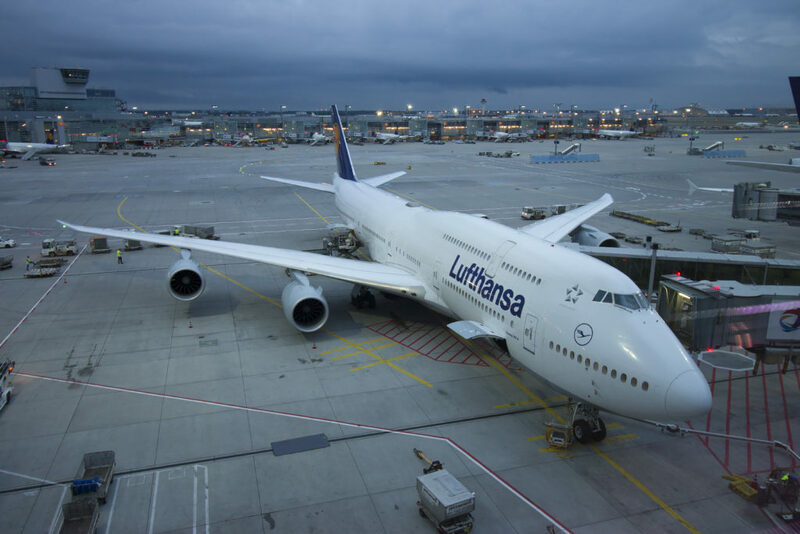 Lufthansa operates daily 747 flights to Mumbai besides Bangalore. Only last night I found on Flightradar24.com that they were flying a340 to Mumbai. By a sheer stroke of luck Boeing 747-400 Air France (CDG – MEX) was my first long haul flight ever taken. The flight took only 12 hours – very little to fully enjoy the flight. It was a fantastic experience! Whenever there were clouds outside I got up and went exploring the plane – including the hump where I sat for a while as some seats were vacant. Luckily AF used the upper deck for economy and the crew didn’t see any problem for me to sit there. The return flight, however, was a red-eye so not much happened there. It was much shorter, too. 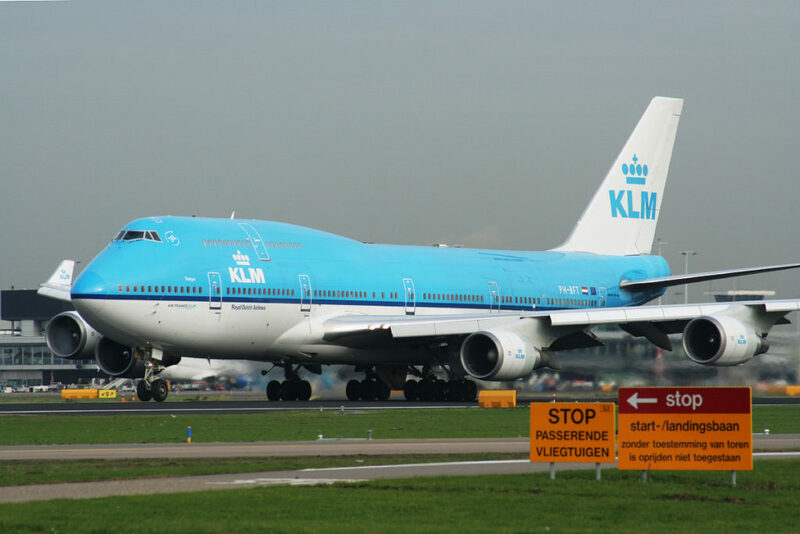 None other wide body liner got close to thet 747! Even the mighty A380! Pity to watch them retire 🙁 I still hope to fly in it once more but chances grow thin. Great, a list of B747 operators and i was especially interested in the 747 intercontinetal, 800 series as I was looking for destinations they are flying to. Been on a LH one, but must try the Korean Air and China Eastern one. Thanks. Virgin Atlantic LAS-LHR/MAN no longer on the 747s, as of Spring 2019.